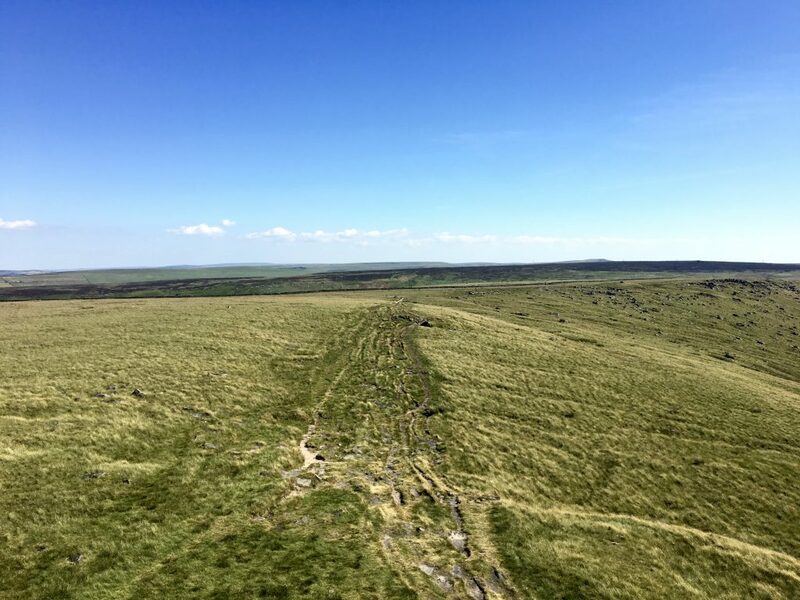 We left off on our Pennine Way adventure with packing up my tent on the morning of Day 3. I was in Standedge and would be heading to Hebden Bridge, a distance of approximately, well, I’m not sure exactly how many miles. My notes said the day should be 14.5 miles, but the actual mileage ended up around 19, so somewhere, I’d miscalculated. Either that, or I’d walked more than I was supposed to (spoiler: I walked more than I was supposed to). Nevertheless, the day wasn’t set to be particularly challenging; there was much less ascent and the sun was shining brightly. But there was a new element, one that had appeared late around lunchtime the day before. I’d started to feel it as I walked along the reservoirs and at first I thought maybe my sock was just a bit bunched up, or perhaps there was a pebble in my shoe. I tried to shuffle and shake my foot around but after awhile there was no mistaking it: I had a blister developing on the bottom of my right foot. And as I started walking away from Standedge I could feel the discomfort immediately. 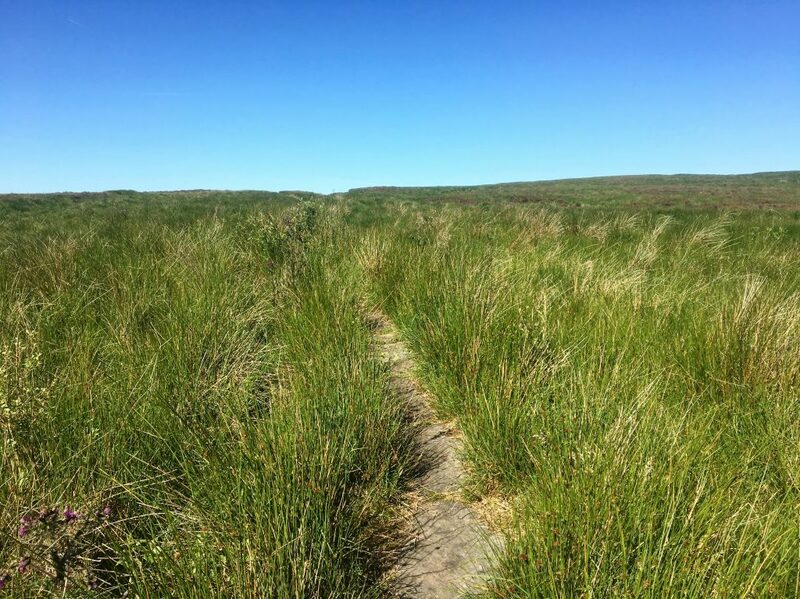 For the first few hours of the walk, as I walked along Millstone Edge and then up the path to White Hill, I could mostly ignore the irritation, but as I continued to walk, things grew worse. I noticed a rubbing on my left foot as well, both on the bottom of my foot and on one of my toes, and when I finally stopped to take off my socks and assess the situation, there were a total of three little blisters on my feet. (A fourth would also develop sometime either this day or the next, ayy!). What caused this? Careful readers might remember that I had purchased a different hiking shoe model before this walk (my beloved Keen Voyageurs had changed! ), and a new shoe before a long walk/hike can be quite the gamble. But I had done plenty of training in them before I’d left for England, and they were as comfortable as the old Keen model. So, ultimately, I don’t blame the shoes. I suspect it was that first 20-mile day through the rain, walking in very wet shoes and socks (I still think a non-waterproof hiking shoe is the best option for summer walking, at least for me, but if it rains hard, it does mean wet feet). In any case, there was nothing to be done now. The blisters were here. It was when I stopped to look at my feet that I ran into Charlie. She was a 25-year old girl from Norfolk that I’d briefly met that morning, as we each packed up our campsite. She had walked the first two stages of the Pennine Way in one (long and crazy) day, and was currently recalculating her plans. We continued on together for another hour or two until we reached The White House, a perfectly situated pub next to the trail, and we arrived just in time for lunch. (Tip: there really aren’t too many opportunities to stop for lunch in a pub on the Pennine Way. So when you come across something and the timing is right, take advantage!). Nigel and Judy (my Pennine Way angels that had helped me get to Edale) were seated at a table in the corner, and just as Charlie and I were finishing our lunch, David (my trail angel who helped me find the path on that first, rainy day) came through the door. 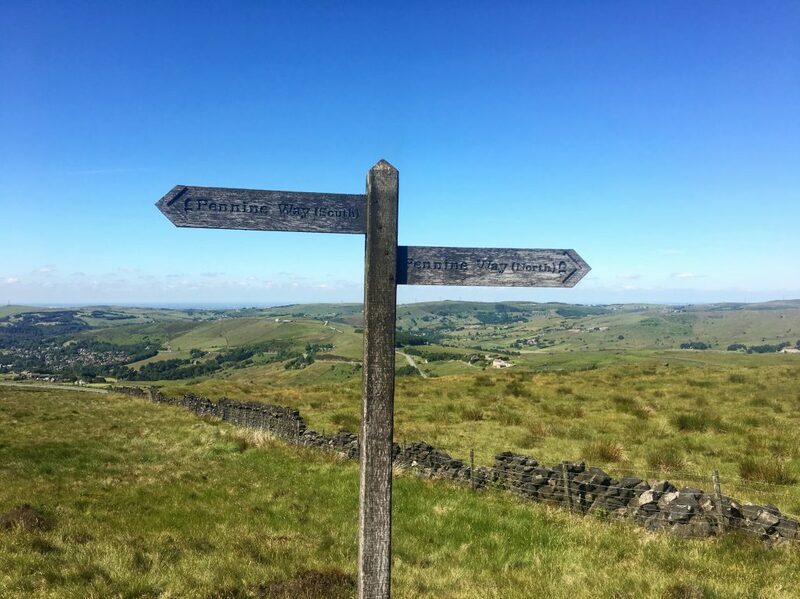 I was barely three days into the Pennine Way, and the biggest surprise was the community that I was finding along the trail. 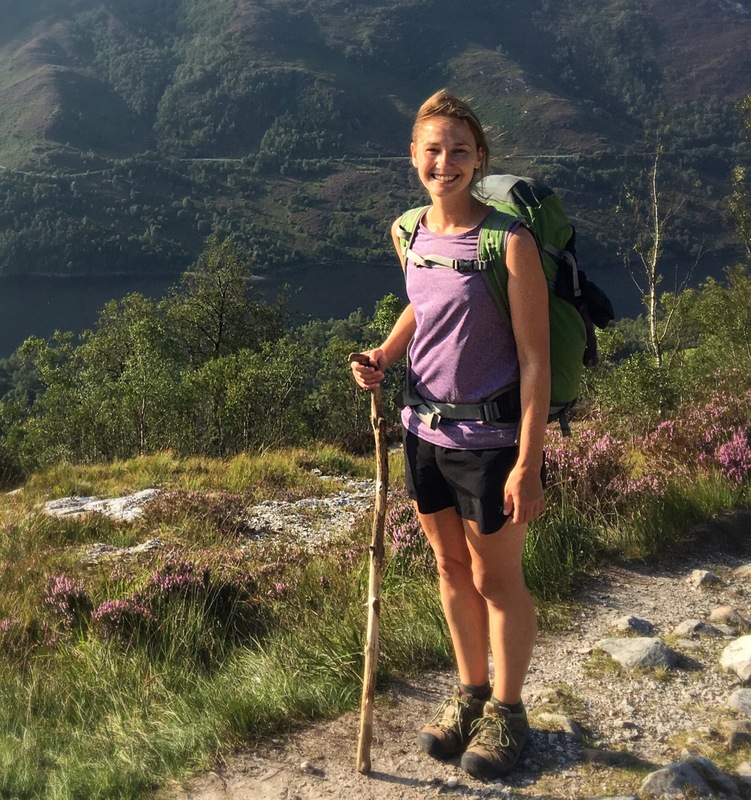 I’d known that the Pennine Way- or any hiking in the UK- wasn’t like the Camino, and my experiences on the West Highland Way and Hadrian’s Wall were pretty solo. People were friendly, but I certainly hadn’t made any friends. But so far, this route was different, and it reminded me a little of the Camino: how in just a few days, you regard the people you’d met as something like family. Walk into a pub, and everyone shouts your name in greeting. Charlie and I continued on, and walked together all the way into Hebden Bridge. 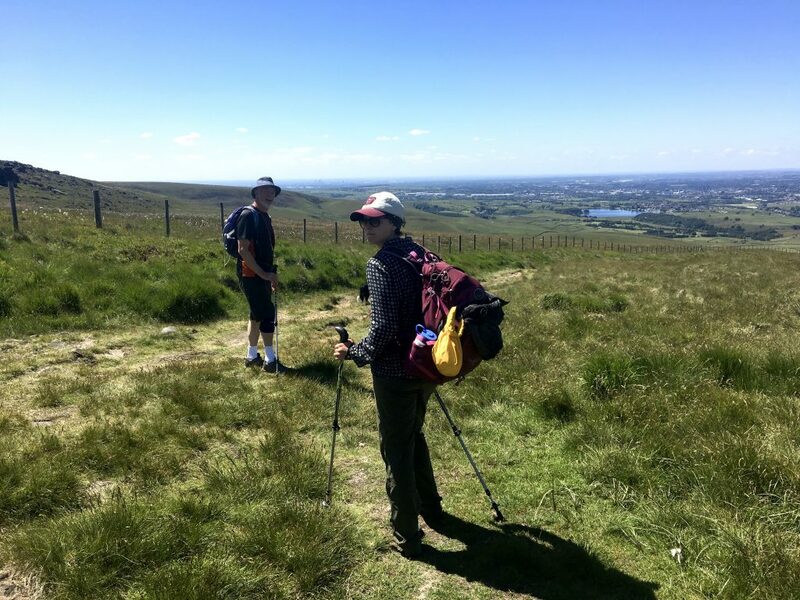 The day continued to be sunny and warm, and we talked about everything as we walked: our impressions of the Pennine Way, our lives at home, our families, differences between grocery shopping in the US and the UK, the pain in our feet, the places we wanted to travel to. I suspect that we inadvertently added a few miles onto the day’s walk sometime after lunch at The White House. 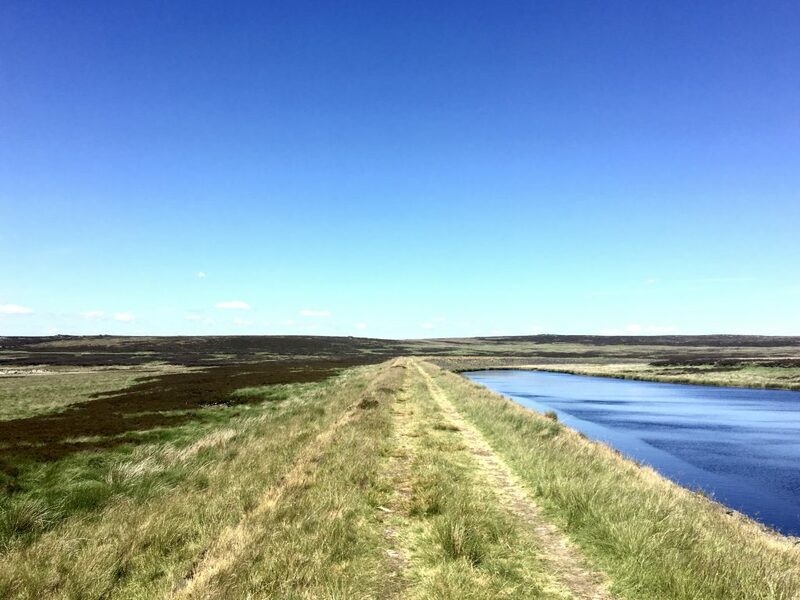 Actually, now that I’m looking at my guidebook, I suspect that we veered off the Pennine Way to walk the circumference of White Holme Reservoir. In hindsight this makes sense, because this section seemed endless. Charlie and I were walking at a pretty quick pace, and yet, we seemed to be getting nowhere. During all these afternoon miles, we could see good ol’ Stoodley Pike in the distance, a needle-shaped monument that was supposed to celebrate the defeat of Napoleon (but, after he escaped from Elba, the celebration was a moot point). 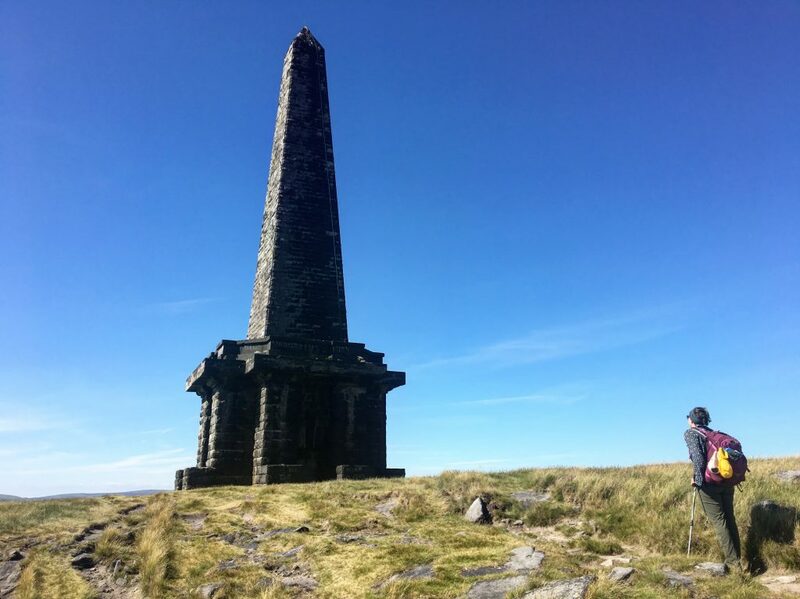 When we finally arrived at the monument, we threw our packs on the ground and climbed the winding stairs up to a small observation deck, where we could look out into the countryside. The landscape of the Pennine Way was changing. Where we had once been walking through peat moors, we’d now be heading into a more pastoral countryside, with green fields and limestone. The walk into Hebden Bridge also seemed to take forever. 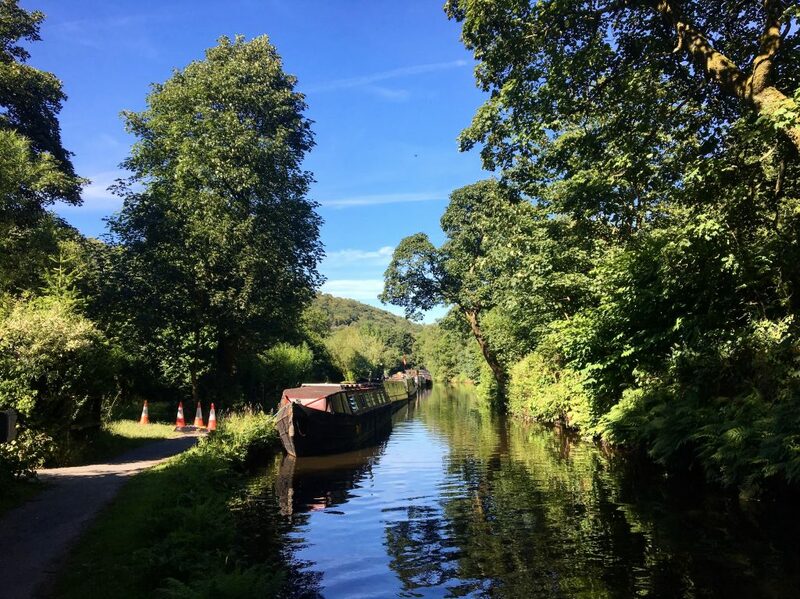 Hebden Bridge is a bit of a detour from the path of the Pennine Way, but I think it’s a worthwhile one: the walk into the village is along a flower-lined canal with houseboats floating lazily in the water and music drifting from nearby gardens. 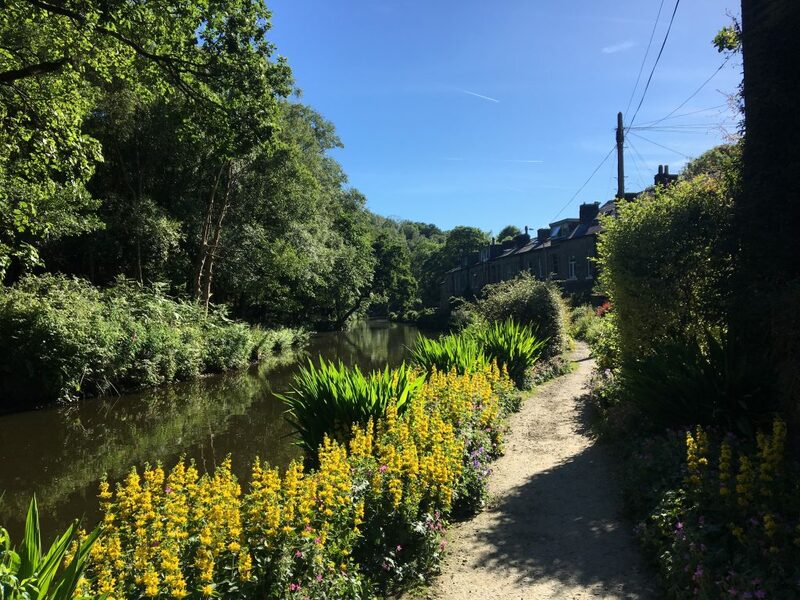 Hebden Bridge itself is an artistic town full of independent shops, great cafés and restaurants, with a lively arts and music scene. 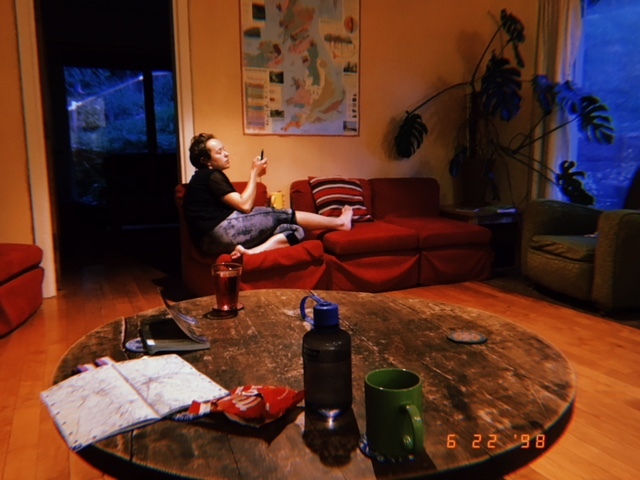 Charlie and I passed straight through town and up a large hill to get to our hostel (I wrote a post for Independent Hostels UK about this hostel! ), and later, went back into town for dinner. I was happy to have company for the night. I’d expected to be mostly alone during my trek on the Pennine Way, and to have found another young, solo female walker was unexpected and fun. We ate a huge spread of food at a Greek restaurant and later, back at the hostel, we made mugs of tea and split a bag of Maltese candies and spread out our maps and planned the next few days of our walk. Charlie would be walking a shorter day in order to meet up with her mother and sister, and had decided to later skip over a few days of the trail so she could finish by her end date. I suspected that I wouldn’t be seeing her again, so that night we gave each other a big hug and exchanged contact info. “Now you have a friend in England,” she said. I crawled into bed, happy and sore, the blisters on my feet throbbing, the sights of the day running through my head. 3 days down, 12 more to go! Always attend to your feet at the FIRST sign of discomfort. In England we have very many monuments celebrating our defeat of the French at Waterloo, as I delighted in pointing out to my French colleague Didier when I once drove him from Devon to Yorkshire once. It’s called “rubbing it in”. Good to see you back……….and you still have a good eye for a photo!